Summer is just around the corner and that means it is time to start grilling! This new Whisky, Bacon, and Cheddar Burger is a great one to add to your grilling menu! I started out with 3/4 lb of 80/20 ground beef and mixed in all of my ingredients. Make sure to mix well! I like to pat out my burgers by hand, there is just something about it that screams backyard grilling to me! I made out three burgers from the 3/4 lb of ground beef. Since these do have a little bit of spice to them, I made a plain one for the little man. Fire up the grill on high heat and spray the grates with non-stick cooking spray. Grill the burgers for a few moments and then flip them over. 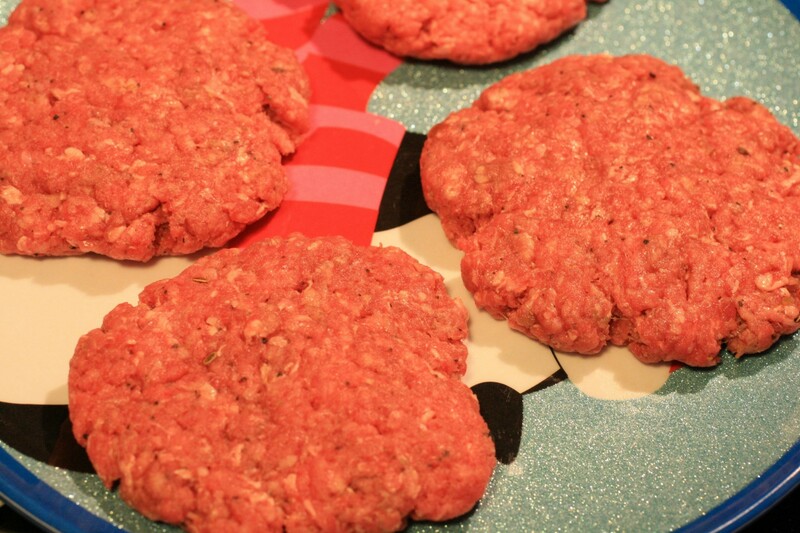 After a few more minutes, turn the heat down to medium-low and cook until the burgers are to your level of doneness. Place the bacon on top and then a slice of cheddar cheese and let cook for one minute to melt! 1. 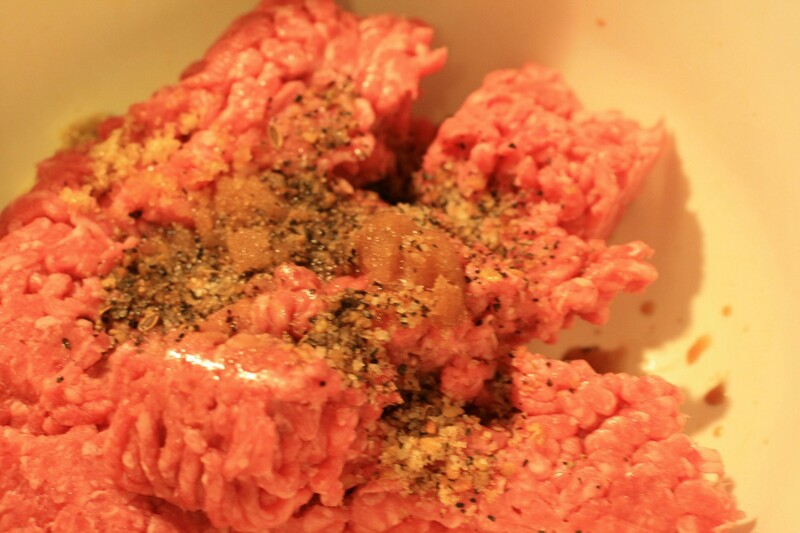 Combine the ground beef, whisky, Worcestershire Sauce, brown sugar, Montreal Steak Seasoning, and garlic salt. Mix well. 2. Pat out the burgers to your desired size and thickness. 3. Grill the burgers on high for 4 minutes per side. Then turn the heat down until the burger is cooked to the desired level of doneness. 4. Top with bacon and then cheddar cheese slice and grill for one more minute to melt the cheese. 5. Serve on your favorite hamburger bun with all the toppings!